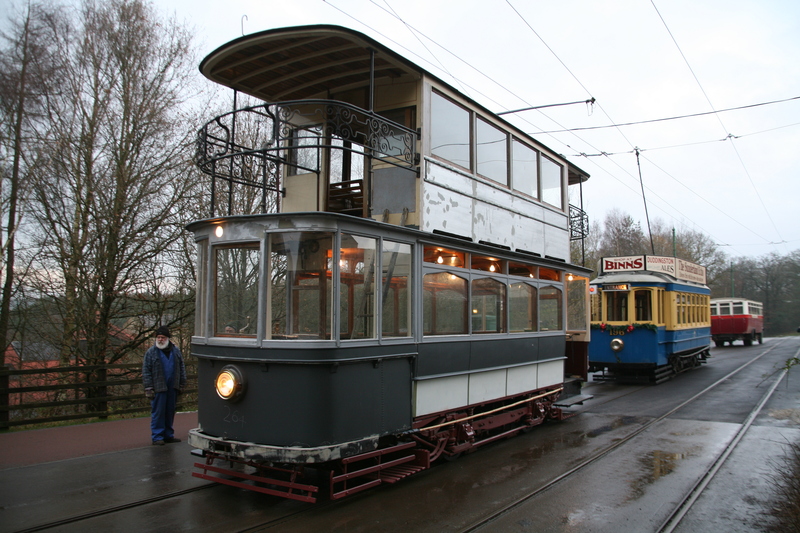 The extensive testing of Sheffield 264 continues, the aim being to carry out all remedial work before the tram re-enters Road 1 for completion of its paintwork. We are also having new corner windscreens manufactured (at eye watering cost!) 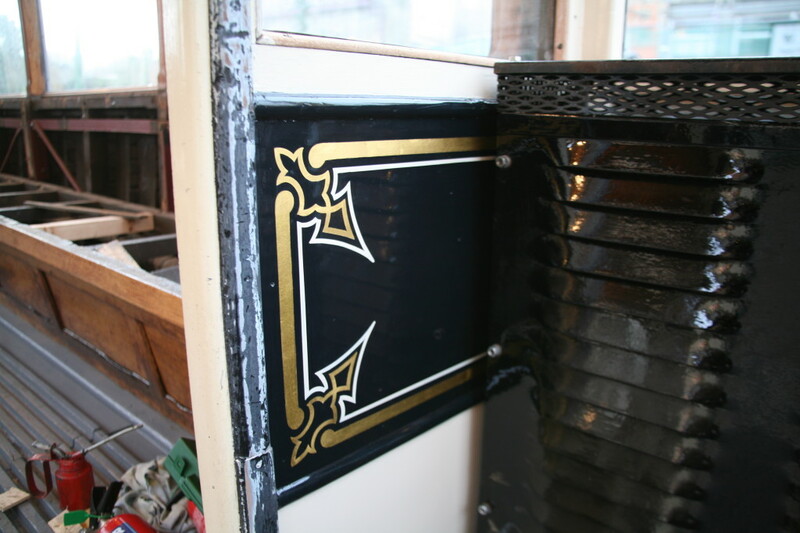 which will replace the temporary ones fitted at the moment. Below: The tram made its first full laps of the site today and, following attention to a number of small jobs, will begin two solid days of testing to allow it to bed in. It can then receive the equivalent of a C exam before painting commences. 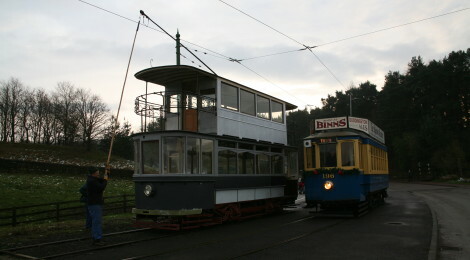 It is seen here in the Town, for the first time in a number of years (though not so many as it has been out of passenger service for, as it was kept in operational condition for some time after it was taken out of service). 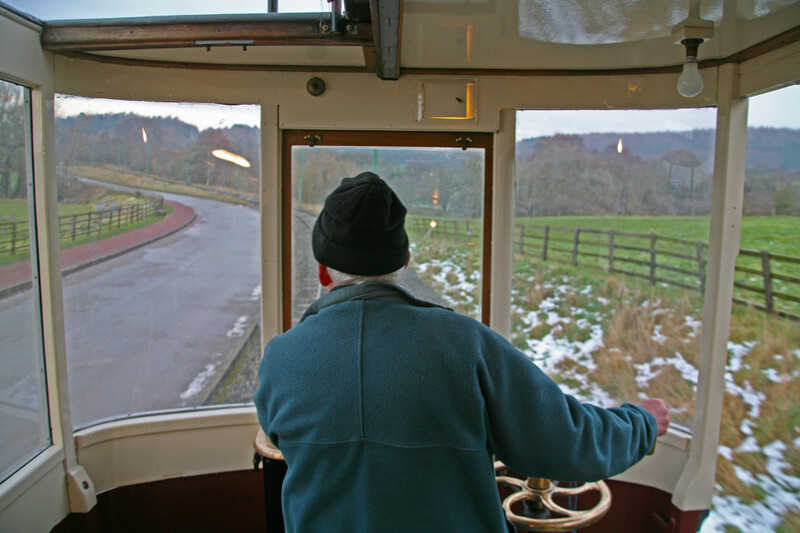 Below: Les at the helm as 264 heads from Pockerley towards the Town. The rather wider view is the result of not having the staircases fitted yet! 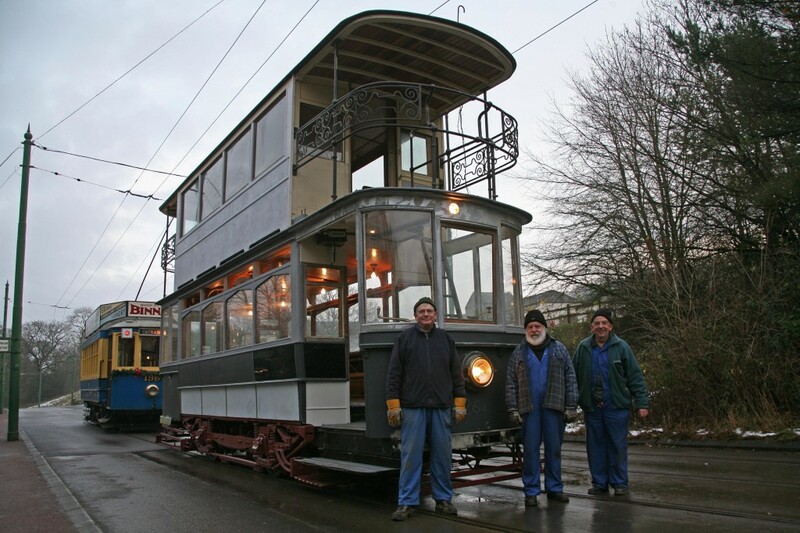 Below: A team shot of the Beamish Tram Group volunteers, Pete, Mel and Les, who have worked alongside the staff to bring about the very rapid assembly and testing of 264. 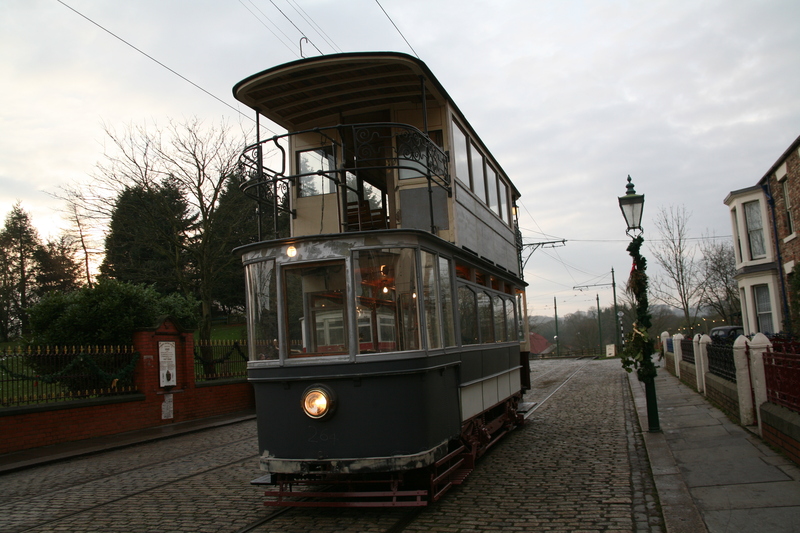 The quality of ride on 264 is universally appreciated and will be something for visitors to enjoy next spring when it re-enters service at Beamish. 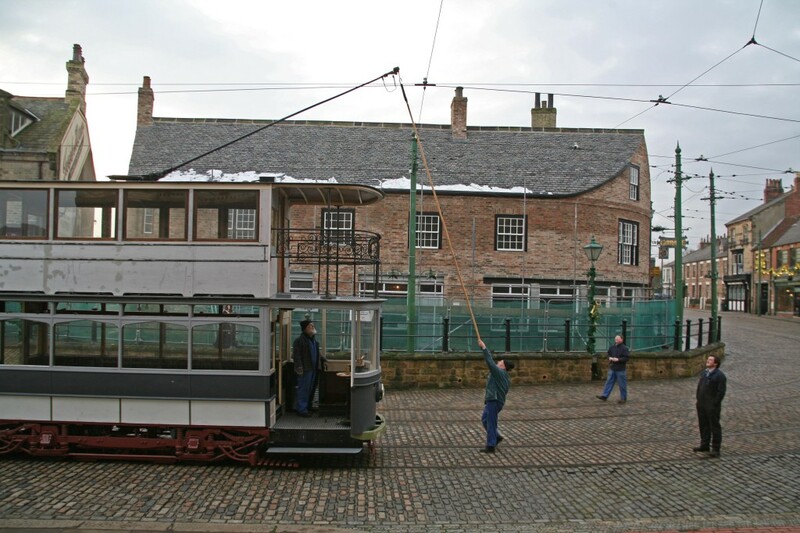 This will be something of an ‘itch scratched’, as when I arrived in 2004 the tram had already been withdrawn and attempts made to raise a substantial sum to have it re-built. 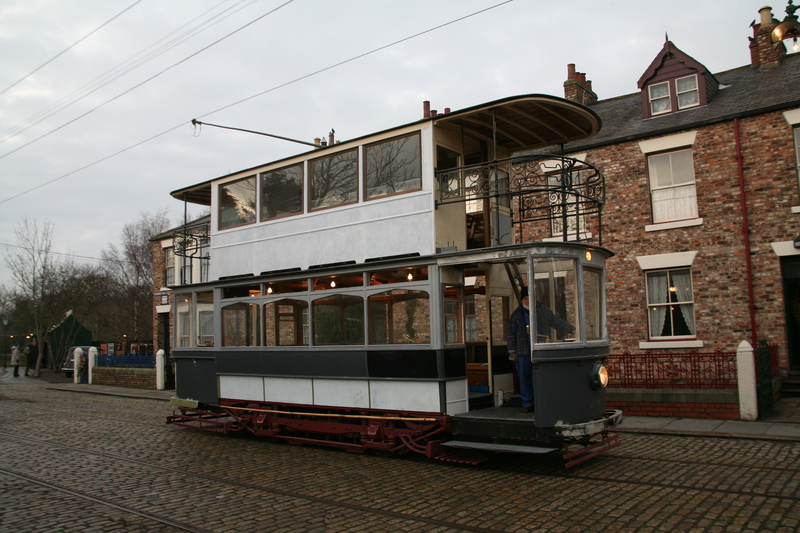 This wore on for years before, with the RHEC up and running and it clear that there would be no grants forthcoming to overhaul 264, the decision was made to tackle it in-house. This has worked very well, and whilst the cost is still substantial (and would buy a very cheap house in these parts, and that excludes the labour costs or equivalent volunteer hours), we have something with which the team can be very pleased.